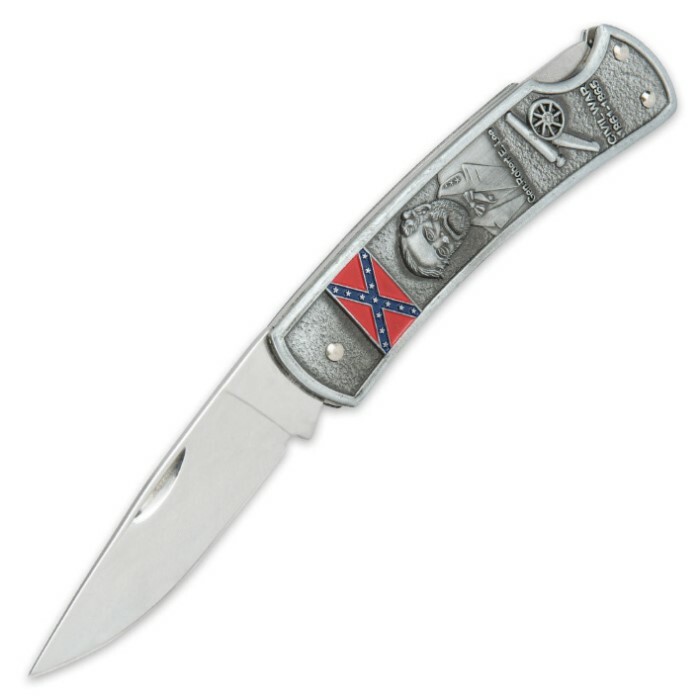 Civil War Silver Folding Pocket Knife | BUDK.com - Knives & Swords At The Lowest Prices! 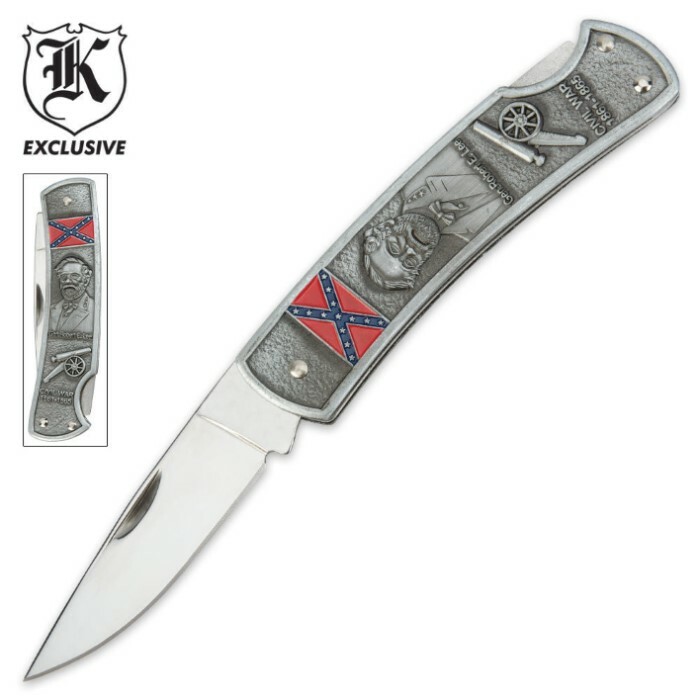 The South will rise again with this Civil War Silver folding knife! This lockback knife features a satin finished stainless steel blade and a cast metal alloy handle. 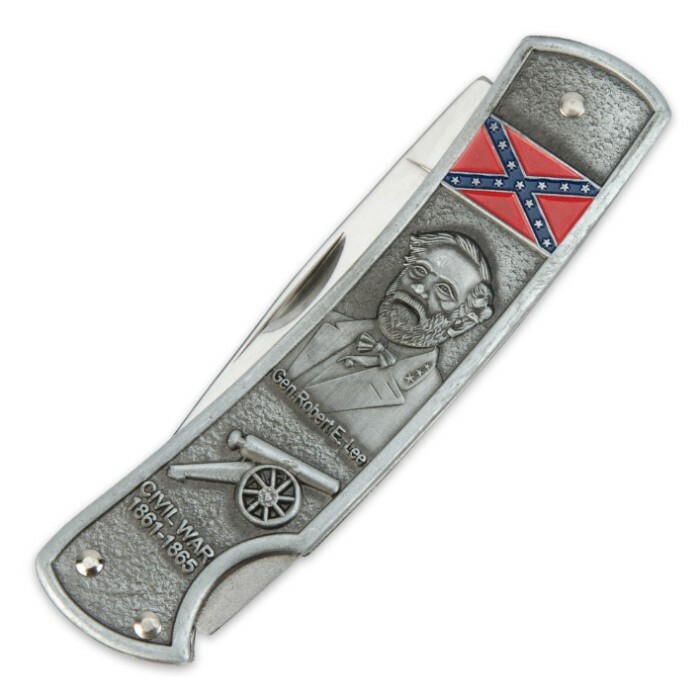 The handle features detailed artwork of General Robert E. Lee as well as the Confederate flag and the dates of the Civil War. Remember the land of Dixie with this Civil War folder.